When you write code there are certain variables that may differ as per the environments like dev, qa prod etc. This might have sensitive data as API keys, passwords etc. You would definitely do not want to put it in your code directly since this will be added to some code repository like git and others may have access to the same. General practice that is followed is to use environment variables that can be defined at the environment level and can be read and used in the code. For eg. consider Elastic beanstalk or a Lambda in AWS world. 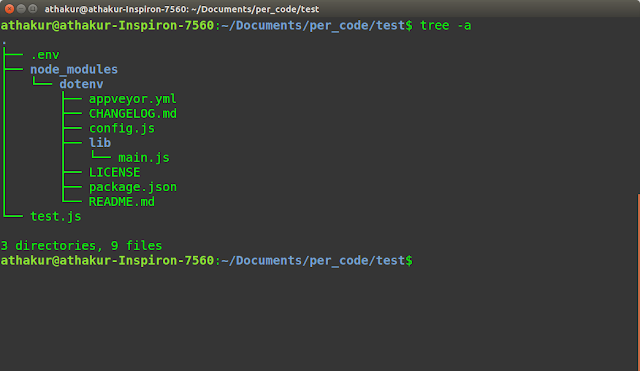 You would define environment variables for the environment and use that in code. If it's your our physical box you might define the environment variables at the OS level or maybe at tomcat level if you are using tomcat as the container. Environment variables work fine in all such cases. But how would you do the same in local. 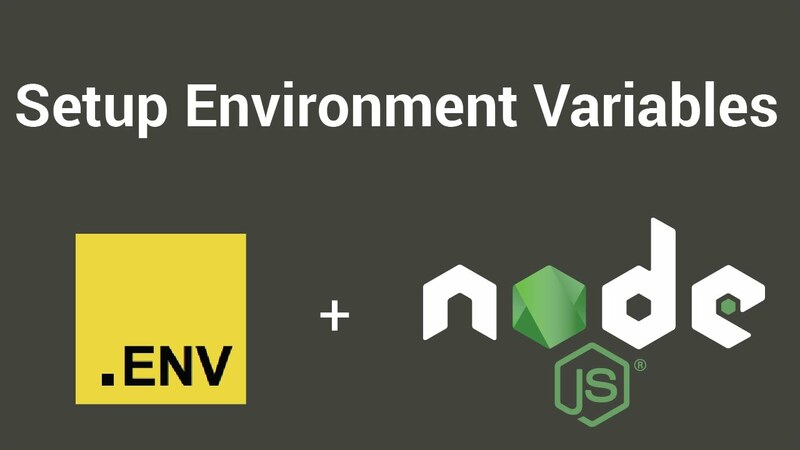 In this post I will show how we can simulate environment variables in a NodeJs process with a package called dotenv. If you get some warning you can ignore it for now. 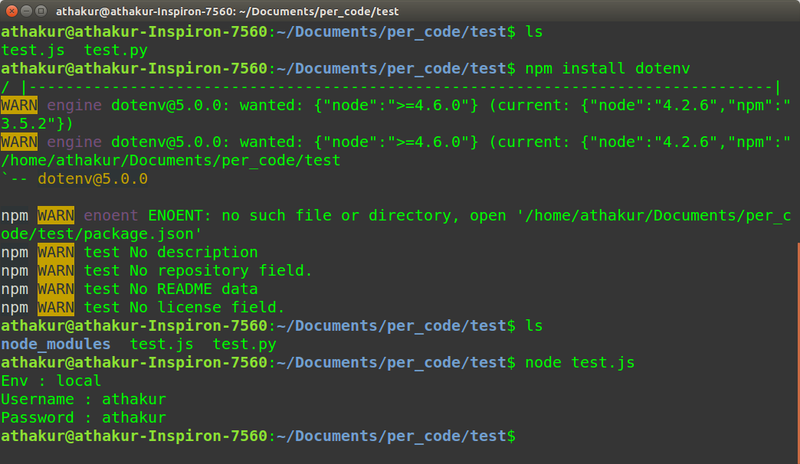 You should see a directory called node_modules getting created in the same directory where you executed this command. This folder will have the package dotenv that we just installed. And that's it. 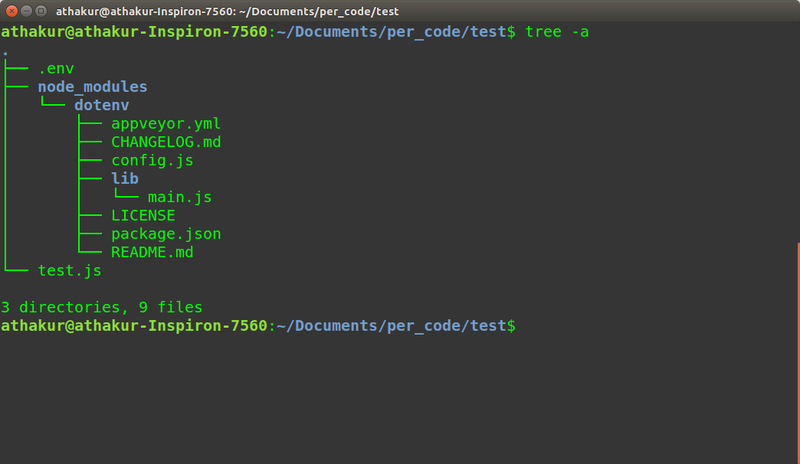 You can add any number of environment variables in the ".env" file and read it in your node js code as process.env.variable_name. In this post, I will show you how you can make these files visible. 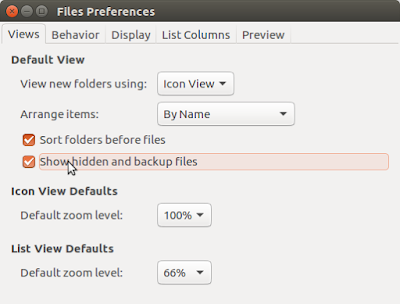 How to hide files and folder in Ubuntu? The Files file manager gives you the ability to hide and unhide files at your discretion. When a file is hidden, it is not displayed by the file manager, but it is still there in its folder. To hide a file, rename it with a "." at the beginning of its name. 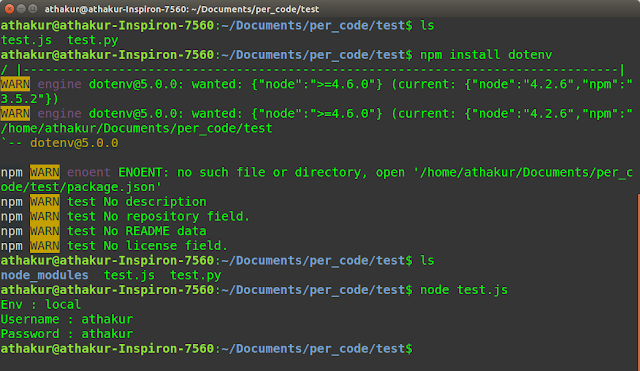 For example, to hide a file named example.txt, you should rename it to .example.txt. 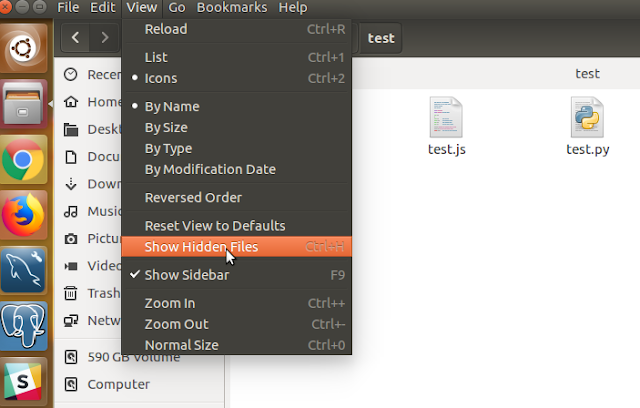 You can hide folders in the same way that you can hide files. Hide a folder by placing a "." at the beginning of the folder’s name. You can use the same shortcut or select the same setting again to toggle between showing and hiding hidden files in your Files explorer. and turn on the setting to show hidden files.